Mum of Five Staying Sane: Meet the celebs! Who we have bumped into over the past couple of years and very kindly allowed us a picture. Tim Peake, Jack Dee and more. Meet the celebs! Who we have bumped into over the past couple of years and very kindly allowed us a picture. Tim Peake, Jack Dee and more. I was looking back through my endless amount of photographs I have taken over the years and a few celebrity pictures popped up. Through the years we have been lucky enough to bump into a few celebrities in passing and I'm not ashamed to ask for a picture, even if they didn't really want to! 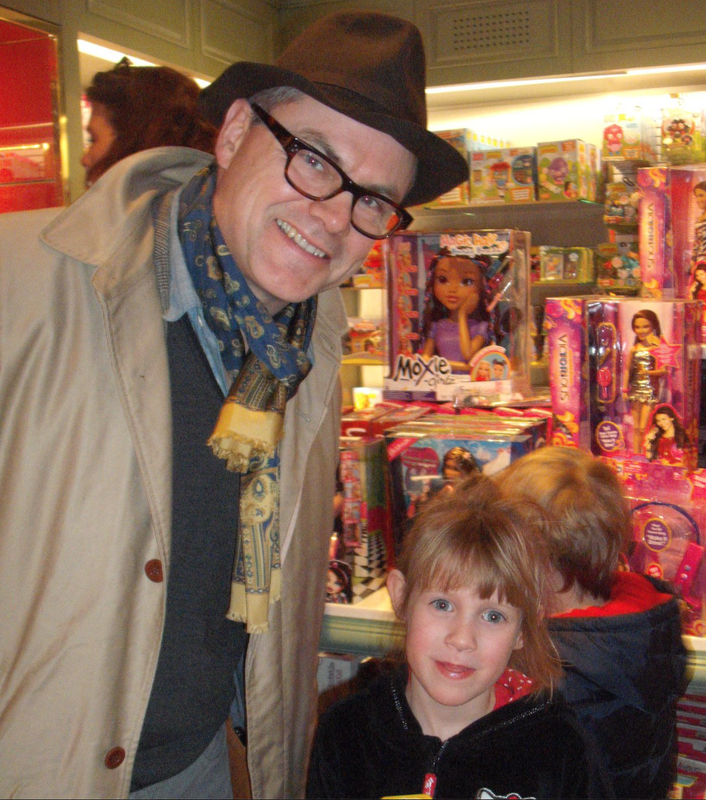 When we saw Jack Dee in Harrods the OH wouldn't ask him for a picture even though he was quite excited to have seen him. 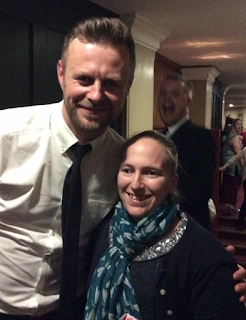 So I sent the OH off and went and asked Jack for a picture anyway. He obliged although I am not sure if he really wanted to or not, however it was Christmas so we were all in a good mood and feeling generous! 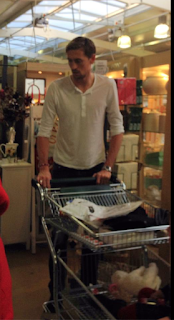 A couple of Christmas's ago we also bumped into Peter Crouch and Abbey Clancy as we did our Christmas tree shopping at a local garden centre. It completely took us by surprise and I grabbed a quick picture. It's not something you expect when you pop into a local place, like celebs never go out to buy anything! Peter Crouch doing his Christmas shopping! In 2014 I was lucky enough to be able to join in with a Mothercare web chat with Myleene Klass talking about her Baby K range at Mothercare. I was so nervous and I really didn't want to be on video, made worse by trying to keep as far away from the camera as possible and making myself look even more stupid than I already do! However, I was pleased to have had the experience and would definitely do it again. Myleene was lovely to talk to and tweeted afterwards too. I don't mind being called inspirational every now and again! 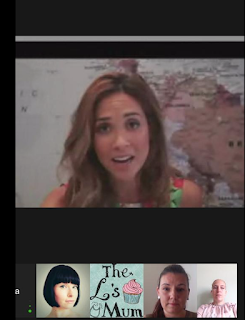 My web chat with Myleene Klass, spot the person with a tiny head! Last year was my first trip to Carols with the Stars at the Albert Hall. My parents had been for a few years previously but had never gone celeb hunting on the interval. Carols with the Stars is a great event and has been going on for many years raising money for some great charities. In the interval I had to go and see who I could find. I found Dr Dawn Harper, John Sergeant and Tom Lister. All were very friendly and approachable and were lovely to meet. This year it was Thing 3's turn to get her picture taken with a couple of famous people. First off she was so super excited to get her picture taken with Tim Peake. We visited the local Farnborough International Airshow back in July of this year and whilst we are in the Space Zone we saw Tim Peake arrive. Thing 3 was in awe of him, we didn't get to chat as there were a few other people waiting for pictures but she said that was one of her life goals to meet him! 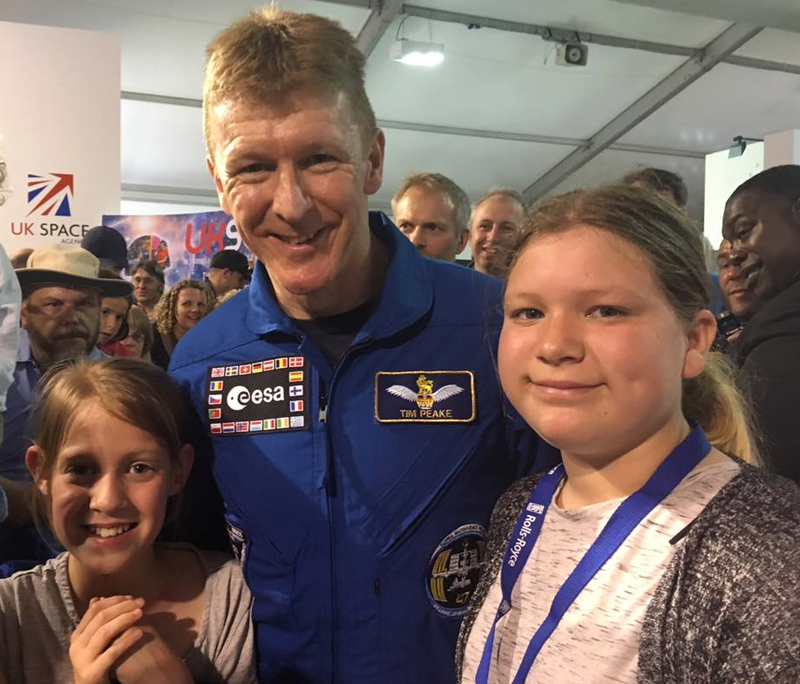 Thing 2 and 3 with Tim Peake, they were very excited. Next is someone who I had no idea who he was (sorry!) I am clearly not down with the cool kids at all. Whilst at an event in London recently Thing 3 was over the other side of the room talking to someone. She came running over to me asking for my phone so she could take a selfie with this person, she had asked permission beforehand! 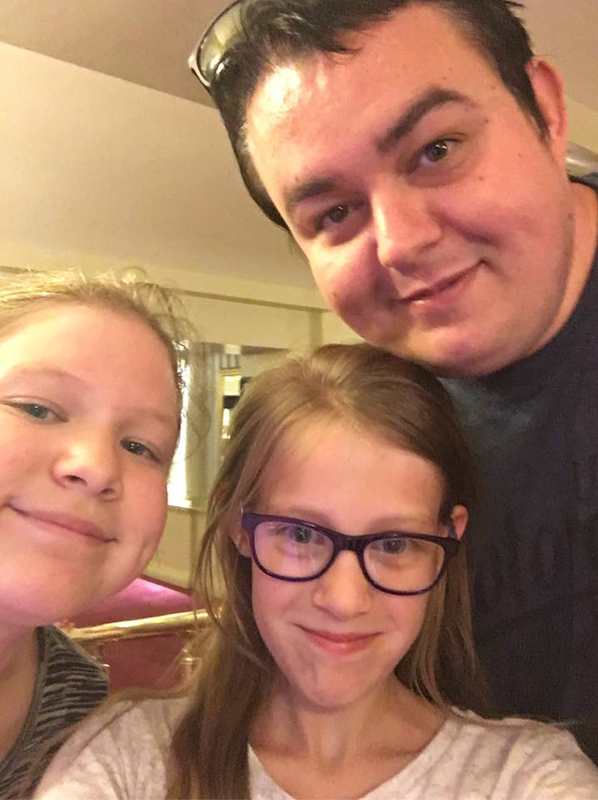 Both her and Thing 3 were again super excited to get a picture with Daz Black from Daz Black Vines and Youtube fame. It's where all the cool kids are at, which shows I really am not a cool kid. Sad times! Thing 2 and 3 with Daz Black. I want to be like the cool kids! So there we have our brief encounters with celebs. Whether we accosted them for a photo or not is another matter but they were all willing volunteers, aside from my sneaky pic of Peter Crouch! Who will we bump into next? Have you ever met or bumped into a celeb whilst out and about?